While most warm-weather vegetables can be planted on Memorial Day or after, cucumbers want the temperatures to be consistently in the 70s. The recommendation is two weeks after the last frost date – so mid-June would be about right for much of Maine. Cucumbers are one of the key vegetables of summer. Yes, you can put them in a salad. I prefer to slice them lengthwise in wedges, rest them on chopped ice cubes and crunch them as a side dish or appetizer. Add some vinegar to the mix if you like. Cucumbers prefer fertile, slightly alkaline soil. If you’re starting from seeds, plant them an inch deep with about four seeds in each spot, with locations (often called hills but you don’t need to create hills) about three feet apart. Once the seeds have sprouted, thin to the two strongest seedlings. You can also buy seedlings at most farm stands, which will speed up the process. 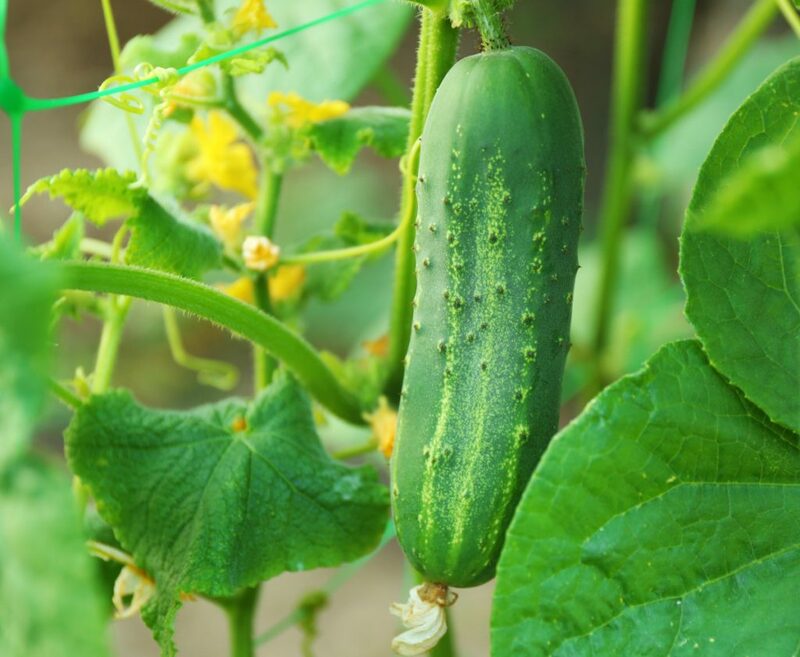 Get several cucumber plants, which will help in pollination. Fertilize with a low-nitrogen fertilizer and make sure the plants get at least an inch of water each week. Some people grow enough cucumbers to make pickles. We have no trouble eating all of ours fresh.